Shorts with lace,soft fabrics, organic and stretchy just to name a few attributes of our shorts selected for the girl who likes a little style. Check them out! 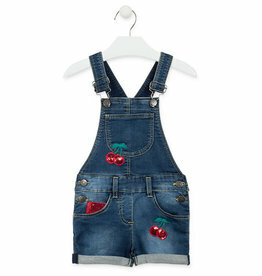 Denim dungaree with sequin cherry patches. Cutest cotton shorts in various colors. Perfect for those hot summer day. These shorts are not "too" short so you will know her bottom will stay covered. Sweet ruffles or poms add a designed touch to these shorts, Elastic waist for easy, comfy fit. 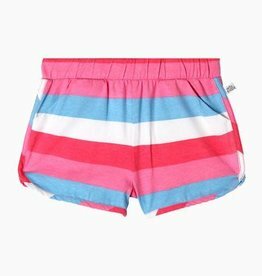 Cute summer shorts that are here to please her with many designs to choose from. Choose from blended cotton shorts or the Viscose light weight short, they are all goo choices. The Harmony Short features front and back pockets and subtle rip details for a cool look.